Everyone has a theory why this season's salmon run is later than normal. It may be due to the torrential rains we received during the fall of 2010, just after the spawn, global warming or pack ice between Newfoundland and Labrador, who knows. Regardless of the reason, it's happened before and no doubt will happen again. Fishing hasn't been great but it's slowly getting better. 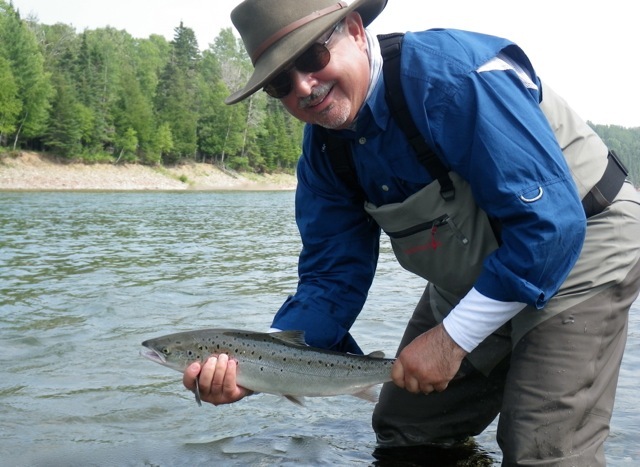 As the week progressed we began seeing more and more fresh fish entering the river. 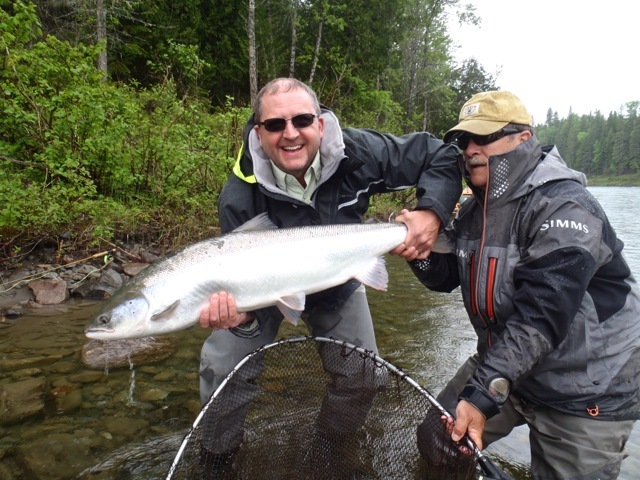 Our guides are seeing salmon on most of our beats and catching has increased as well. Graham Green, owner of Fishing Fever in Halifax is no stranger to salmon fishing. Here's Graham playing a nice one at Big Eddy on the Petite Cascapedia. The Bonaventure flow is perfect, running clear at 50 plus cubic meters per second or June 1st levels. The Petite Cascapedia is at normal flow for this time of the season and the conditions are perfect. The Grand Cascapedia did received a bit of rain and flowing at early June levels. Regardless of the late season we did manage to land a number of fine salmon and of course lost a few as well. Halifax angler Galen Snook and Camp Bonaventure's head guide Mario Poirier. Nice fish Galen! 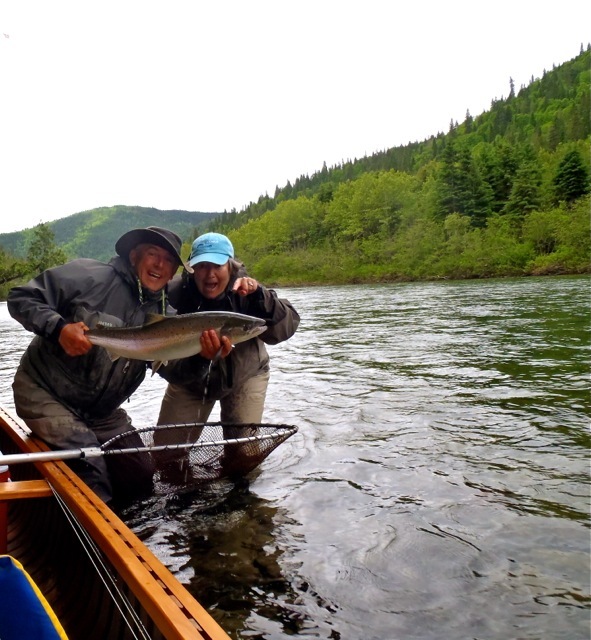 Lois Mann lands her first fish of the season with Camp Bonaventure guide, Jean Marc Poirier, congratulations Lois! Back in 2007 the first run of fish showed up the last week of June. The new moon and high tides are next Friday and the June tides always bring salmon. The best fly's this week were the Stone Ghost, John Olin and Blue Charm. We've had a few up to dry's but the water is still a bit cool.